We have come far, but we have far to go. Together we can set new priorities for the coming years. We, as Alcornites, must join hands as partners in working toward a thriving university. We must stand and speak for what is true — true to ourselves, true to our God, true to our alma mater, and true to our fellow man. 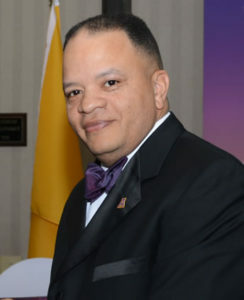 If Alcorn has not succeeded in persuading its alumni to give after four years of experience on its campus, after having been subjected to the whole educational program of the institution, it has failed in its mission. If Alcorn trains its students to “get” but fails to train them to “give”, it really has no good reason for existence. It must be the hallmark of the alumni that they are “giving” people. As Alcornites that applies to everything about you — your vocational service, your family life, your church activity, and your community relations. Giving should be evidenced also in your relationship to your alma mater, Alcorn. It is in teaching people to give — of themselves, their efforts, their devotion, and their means — that universities like Alcorn really have their mission.